The spirit of eighteenth and nineteenth century exploration is alive and well and ready to decorate some special little corners in your home! 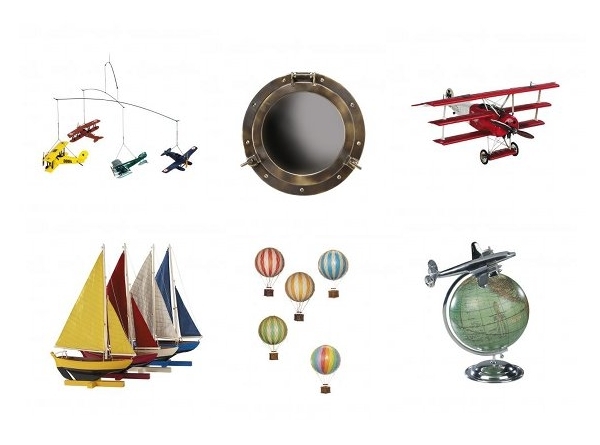 Of course, boats and planes have long been a mainstay for decorating boys’ bedrooms – but why should little boys have all the fun? We’ve found the most exquisite and realistic pieces we bet you’ve ever seen, and the name says it all really – Authentic Models. There is something in this range to suit boys and girls, young and old, with toys as well as decor. 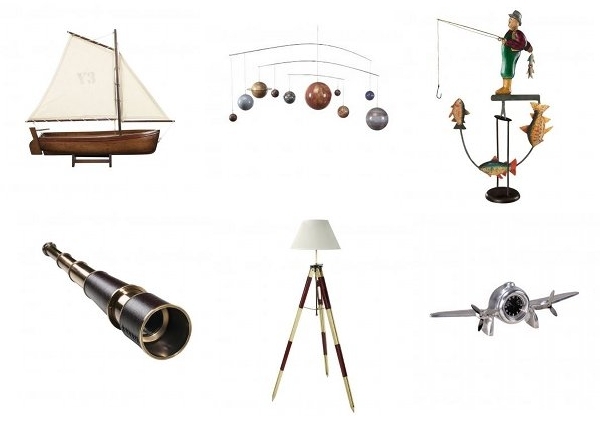 With everything from compasses, telescopes and magnifying glasses through to globes, maps and models of all kinds you will find special little nautical and aeronautical touches of all kinds here. There are even larger pieces of furniture – trunks, bookcases, desks and actual moveable staircases to really thrill adventurers of all ages. You can find all the items pictured here, along with many, many more, at Zanui. With such an enormous range of items, obviously the price range is pretty wide as well. Smaller items begin at around $10 but for the really large impressive pieces of furniture, expect to pay up to $2500. The best bit? Shipping to mainland Australia is free!